Preparations are underway for a first ever summit in South Africa in June to create partnerships between the various nations and the diaspora communities around the world. Voters flocked to the polls in Yemen on Tuesday. They are voting for a new president under a deal reached last year after months of deadly protests against President Ali Abdullah Saleh, who ruled the country for 33 years. Organized crime is threatening the already fragile peace, security and stability in West Africa and the Sahel region, according to UN officials and other leaders. Forget dot com (.com) soon it will be dot anything you can think of and with that will come a lot of cybersquatting and other domain name disputes. 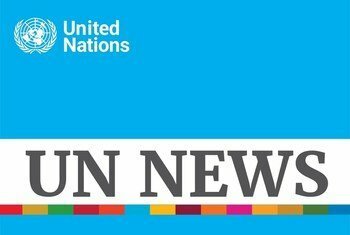 Thousands of children in Chad will die of malnutrition if assistance is not provided on time, warns the United Nations Children’s Fund (UNICEF). Day to day living is a challenge for people living in informal refugee settlements around Kabul, the capital of Afghanistan. Twenty-four children have died recently after being exposed to the harshest winter the country has experienced in 15 years. Uzbekistan is adopting a child-friendly approach to increase the number of children attending pre-school, according to UNICEF. Actress and activist, Mia Farrow, has been in Chad in Africa to encourage more people to have polio vaccinations. The number of people catching polio in the central African country is on the increase and is second only to Pakistan in terms of new cases. The gap must be bridged between the business community and environmental groups to work towards a more sustainable future. For the past 66 years, UN Radio has stayed true to its mission of informing the world’s populations. It has come a long way from the days when it started in 1945, in a makeshift studio in Lake Success, a village outside New York City.